We always have our eye our for new PC hardware, but it's relatively rare that the first we see of it is on the crowdfunding platform Kickstarter. Nonetheless they do appear from time to time, and the most recent (and quite promising) project is the DREVO BladeMaster mechanical tenkeyless keyboard. In fact, it's not just notable for its features, but also because it blew through their $20,000 goal in less than 24 hours and are now sitting pretty almost 200% over the target. 57 days remain of the fundraising round, so there's plenty of time to weigh up the merits of the project yourself. Inspiring the BladeMaster's design was a desire to improve the productivity of a compact keyboard. 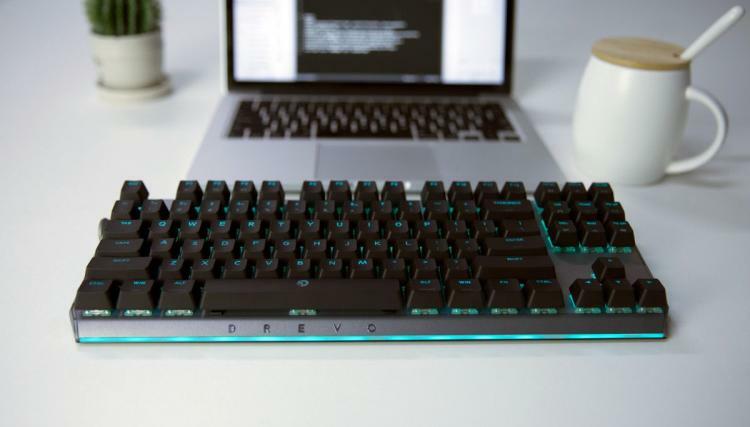 The DREVO team ran with the idea that while mouse functionality is flexible, a keyboard is relatively limited when used by a single (usually the left) hand. That's especially the case if you're hanging around the WASD zone while gaming, cutting off nearly half the keyboard including cursor and utility (PageUp, Home, End etc.) keys. Adding Macro keys increases flexibility, but also increases the keyboards footprint and, potentially, cost. The designers struck on the idea of introducing what they're calling the 'Genius-Knob'. Sitting on the left edge of the keyboard's chassis, this integrated wheel, click and double-click functionality adds flexibility into that zone of the keyboard that can be accessed quickly. Combined with macro functionality, this new tool can be used in a variety of roles from gaming to word processing and beyond. Outwardly, the DREVO BladeMaster is a well appointed tenkeyless mechanical gaming keyboard. This, as well as the lack of a wrist-rest, means its footprint is exceptionally small and overall has a smart appearance at home in almost any professional or gaming environment. The Knob sits on the top-left edge, with a short travel distance for the left hand while gaming. Other aspects of the BladeMaster are solid, if relatively commonplace amongst gaming keyboards. 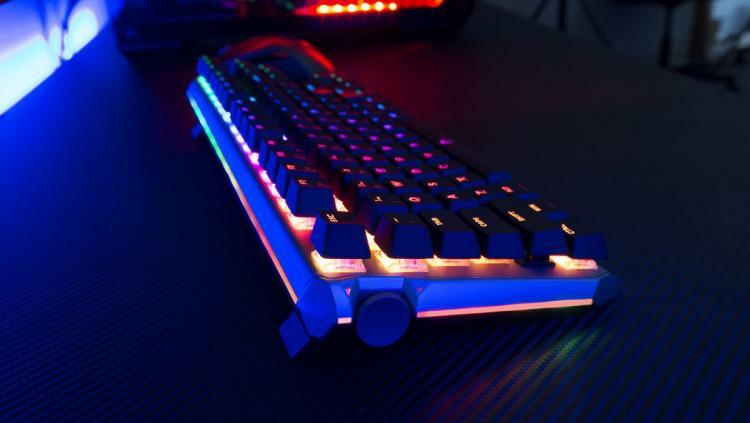 The design calls for RGB LED mechanical switches (switch type dependent on model) and edge lighting, while not attempting to reinvent the wheel when it comes to tenkeyless keyboard layout. Accompanying the BladeMaster on the software side is DREVO Power Console (DPC). DPC is the BladeMaster's control utility through which users can modify lighting, macro settings and other key functionality available on the keyboard. Up to three profiles can be stored on-board, while cloud storage for profile management is available to those regularly migrating with their keyboard between two locations. The BladeMaster comes in two models and eight language layouts - US/UK/IT/DE/FR/SP/JP/KR. The BladeMaster PRO makes use of 2.4GHz wireless communications, an integrated Lithium-Ion battery and Cherry MX RGB Red switches. 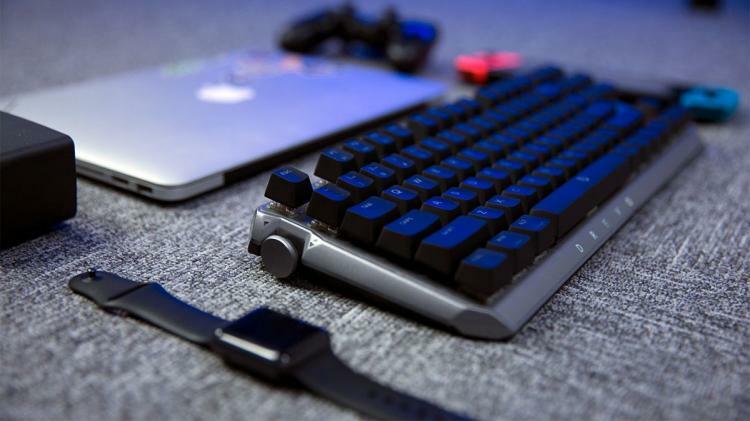 Meanwhile the BladeMaster TE balances performance and cost by opting for Gateron mechanical switches and a wired USB connection. Early Bird Kickstarter offers price them at $55 and $99 respectively, but these offers are strictly limited in number. There's a lot more technical detail on the DREVO BladeMaster available at their Kickstarter page. A word of caution however: even fully funded Kickstarter projects are sometimes delayed or fail entirely. While those who Kickstart a project gain some protections, be clear about the uncertainties and risks involved before pledging.